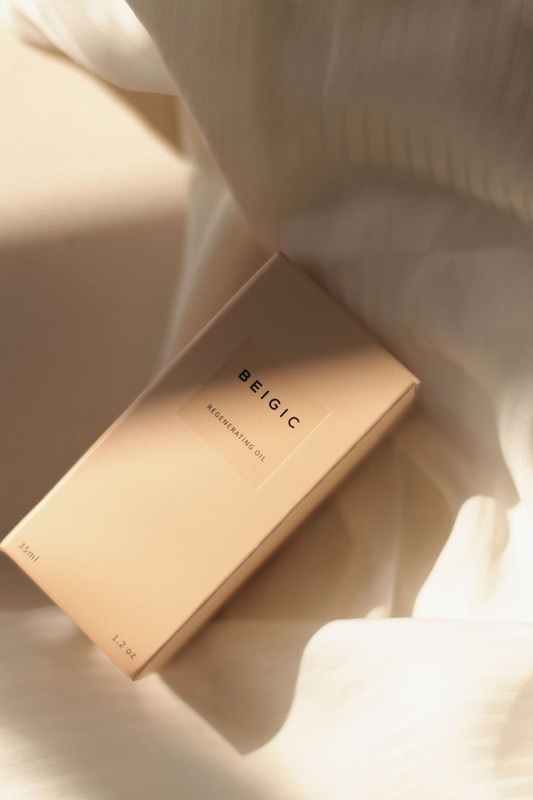 Introducing Beigic, a brand that sure looks utterly pleasing and wholesomely inviting, but also doesn't disappoint with the products themselves and feels completely luxurious, as if you have the spa treatment right there in the comfort of your own home. 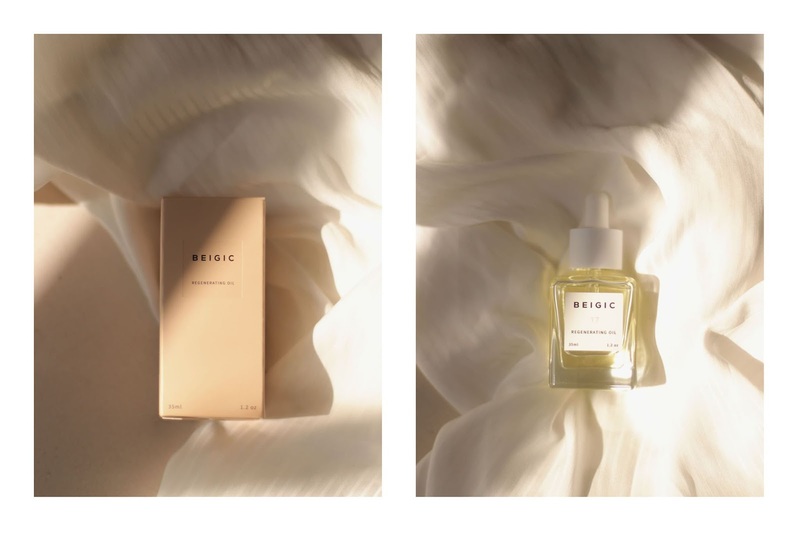 Inspired by the colour beige and influenced by the warmth of everyday sunlight, it's a brand dedicated to being clean and honest, from they're plant based, fair trade ingredients - to the transparency behind their moral of avoiding the use of parabens, drying alcohols, dyes, silicones and synthetic fragrances. This is everything and more I admire and look for when looking to invest in a new brand. For the last year I've not had very problematic skin, however with the harsh change in seasons all around, my skin can become dull - it lacks it's spark and as I don't wear foundation, there's nothing in an instant to liven up my complexion. When I wanted to change my skincare/beauty regimen around, I knew it had to come from within and also my approach to what I use and why. It had to be long term. Throwing away my use for foundation, didn't mean an instant acceptance of natural skin, it didn't mean the blemishes and uneven complexion would settle right away, it had to breathe first - but mainly I had to look in the mirror and actually accept my face. Bare, untouched, me. It got easy, so did my mornings, so did any time I had to rush out, so therein I had to sort an organic approach to my skincare routine, this to me, meant oils oils oils, not going too overboard, but I've always adored the luxurious application of such products, it turns the evening into a light massage session and in the mornings you feel dewy and full of glow. 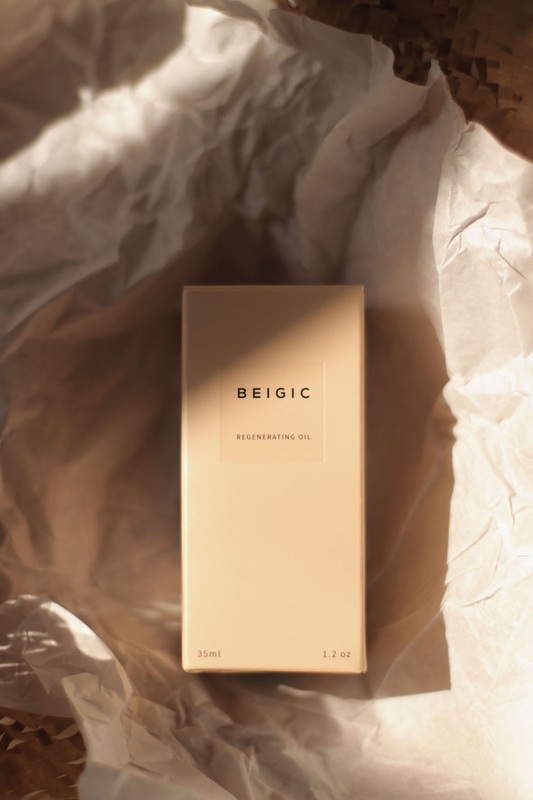 My heart jumped finding the Beigic Regenerating Oil, the brand empathised all I was after, my skin was reaching for it. 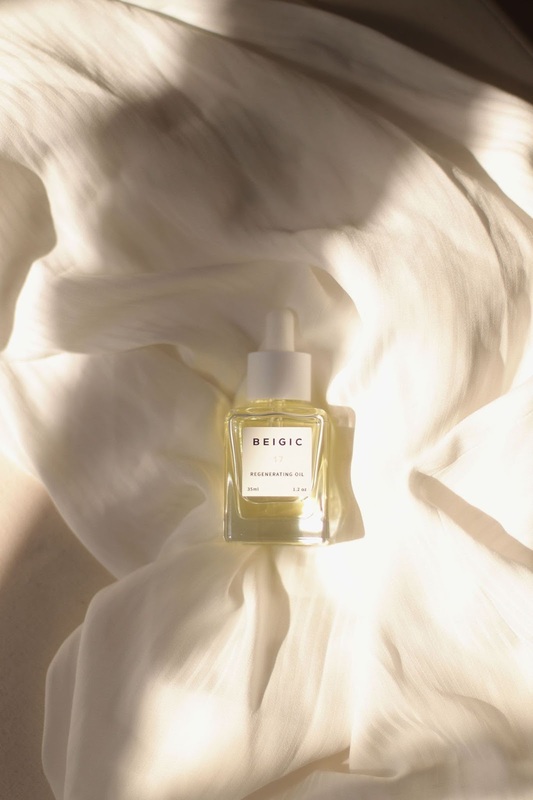 It was an instant yes, reading into the contents and benefits of the oil; it hydrates the skin, whilst leaving a nourishing glow, tightens and brightens the overall skin tone. Completely fair-trade, the green coffee beans, the key ingredient of the product, it's antioxidants and vitamin-E properties aid in the repair of sun damage - whilst the amino acids help with the elasticity and tightening of pores. It's a dream boat of ingredients such as Argan, Rosehip, Jojoba and Almond oils, all of which I've had individually, so it's an ease to have all in one place. You can learn more about the brand and the products (and others) on the site here. So, how's my skin over a week later? It's full of life. 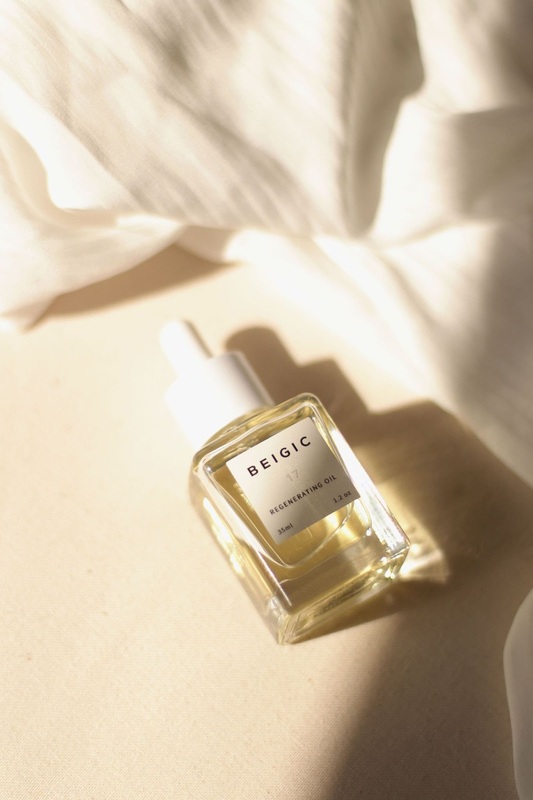 I'm not ignorant to the fact that change doesn't necessarily happen overnight, but the pure scent and touch of the Beigic's very own Regenerating Oil, was sublime. It felt like a treat, a need, a must - when applying, I had no doubt this would be effortless to want to apply each morning and evening and it was. My skin doesn't feel dull in the slightest and it's had reason to! From hangovers, to feeling unwell. My complexion is lighter, despite the grey days, it feels hydrated and moisturised, which I've struggled for months to get my skin back to. 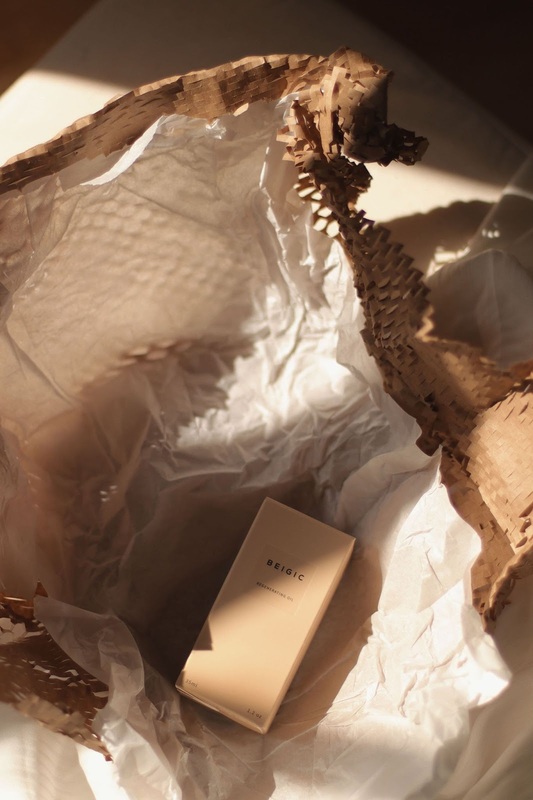 From the whole aesthetic of the brand, to the fair-trade, cruelty free morals, ethics and all the products themselves, it's definitely the brand to watch and invest in right away. 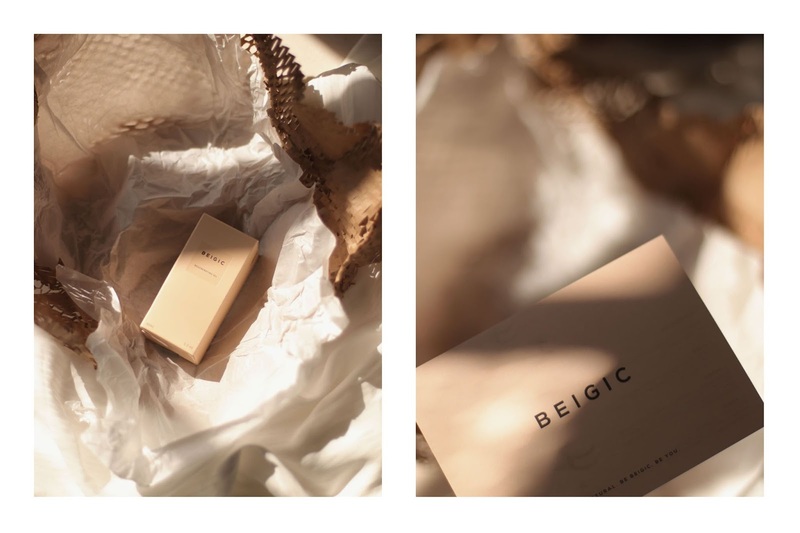 Thank you to the lovely people at Beigic for gifting me with this dream product. To get your hands on the Regenerating Oil, click here. posted by Katerina Jane . Monday, 8 April 2019 .